It’s a whole new season and a whole new game. The NFL playoffs are just around the corner, and while your normal fantasy season might be over, the fantasy playoff season has just begun. That’s right, just when you thought you had to close the doors on fantasy football for eight long months, we open up the doors to NFL PlayoFF Fantasy, giving you one last shot at fantasy glory. You can draft your fantasy football playoff team just like you did back in the summer. However, this time you are limited to the players on the NFL football playoFF rosters. Depending on the settings of your league, the further your players advance, the more points your playoFF fantasy football team scores. Most post-season leagues are total points only leagues, and don’t have head-to-head matchups like a regular season, so you don’t have to worry about having an even number of teams. Most post-season fantasy football leagues are “contest-style” lineups, where you don’t maintain a roster, but instead, can start any player once, and only once, throughout the NFL playoffs. The winner of the league is simply the franchise with the most total points after the Super Bowl. So, there’s strategy in who you start when. 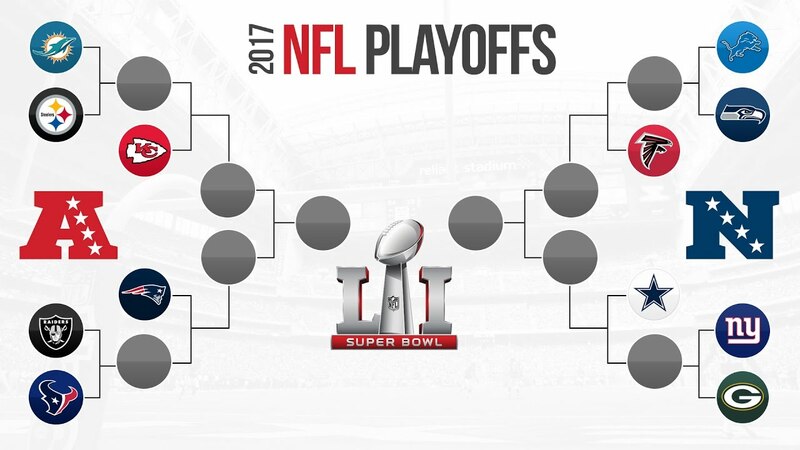 If you think a particular team will lose in the first week of the playoffs, you could start a player on that team in the first playoff week. But, if you think they’ll make it all of the way to the Super Bowl, you could hold off, and not start him until later in the post-season. One common format is to select or “draft” your roster before the start of the NFL playoffs, and keep the same players throughout. If/when an NFL team is eliminated, any players you have on that team will no longer score points for your fantasy team. So it pays to try to select the players that will play in the most games. The most flexible style is the “free-for-all” roster format, where you and the rest of your league owners can select any player each week. If you are drafting a NFL PlayoFF Fantasy Team, the main goal of the postseason draft is simple – grab the best players on the teams that advance the furthest in the playoffs. Sounds easy right? It’s not a simple as you think, you have to consider the NFL seeding rules, and how teams can be reseeded after each week. As you will read later, Home Field Advantage in the later rounds play an important role on the outcome of games. Just like in the summer, you need to start by identifying the best players. As always, your league settings dictate who the top players will be. Get familiar with your league and rank accordingly. Will you have a Live Draft or an Auto-Draft? Will your league be conducting a Snake Draft or a Banzai Draft? What roster requirements are being enforced by your league? Are there position restrictions? What stat categories are being tracked by your league, and at what value? What round multipliers have been set for your league? Make sure you have the answers to these questions before you even come up with your team name. Now you need to pick the right players and your strategy. Do you go with players on the highest seeded team? Do you chase stats in the Wildcard? Or do you go with players on your favorite team? The safest approach is to assume that the higher seed will move on to the next round. Just don’t go crazy for all the players on the #1 teams. Sure you can ride a hot Wild Card team, but this is the hardest (and riskiest) venture to go with, as these teams typically have to play more road games en route to the Super Bowl. You could stack players on teams with a first-round bye. Now, if you go this route you will (obviously) miss out on fantasy points from Wild Card Weekend. The upside, however, is that you lessen the risk of having your team wiped out early, plus if your league has multipliers you still get the x2 multiplier in the Divisional Round for having these players in your lineup from the get go. But whatever is your strategy, it is most important that you be sure to check for injuries and postseason eligibility. If you squander your #1 pick or roster spot on a superstar that is injured and out for the post-season, you can wait until next year to collect your fantasy title. Think about Home Field Advantage as you pick your teams to advance. As you plan for your Fantasy Postseason NFL draft, you should consider the historical advantages for teams that play at home during the playoffs. As you can see, there’s nothing special about the first or second round in terms of being different from the regular season. The big difference comes into play during the Conference Championship round where the home team wins 7 out of 10 contests. There you have it! Now you can enjoy the NFL post-season more than ever before! Here are some NFL PlayoFF Fantasy Football links for you to use this post-season.